Tonight the New York Knicks hit the United Center to take on the Chicago Bulls in the first of four meetings between the two teams. The Knicks will return to Chicago on December 27, 2017. New York then welcomes the Bulls to Madison Square Garden on January 10th and again on March 19, 2018 to close-out the season series. New York comes to town sporting a .500 (12-12) record after knocking off Memphis 99-88 Wednesday at the MSG. Veterans Courtney Lee and Kristaps Porzingis led the way with 24 and 18 points, respectively. Strongman Enes Kanter finished with a double-double of 12 points and 12 rebounds. This evening, and for every game going forward, Chicago must establish themselves as the aggressors from the opening tip-off and never surrender. Defensively they need keep the lines of communication open and free-flowing. They have to hit the hardwood in a scrappy mood and never allow opponents easy scoring opportunities, be they layups, uncontested put-backs, or open looks from the perimeter. Chicago must also step up its defensive effort along the 3-point arc, especially this evening whenever Porzingis or former Bulls sharpshooter Doug McDermott hover around the bend. 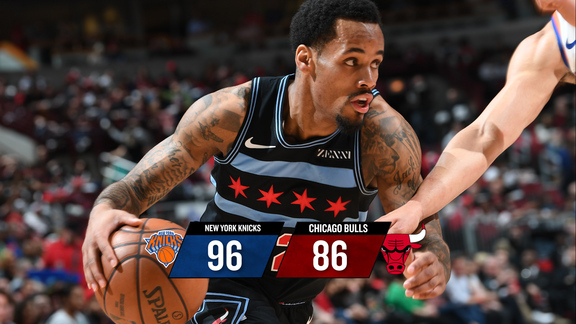 Chicago's guards need to persistently pressure the ball while everyone sticks close to their man in order to deny New York opportunities to slip into a comfortable rhythm. A primary key each night for the Bulls is to wrestle control of the boards at both ends of the court. Collectively, Chicago has had trouble putting points on the board, as they come into tonight's contest ranked 30th in both shooting (41.5%) and scoring (95.7). In order to give themselves a fighting chance of winning the Bulls need to dominate the glass, especially at the defensive end as doing so regularly leads to easy scores via fastbreak opportunities. As a rule of thumb, the Bulls like to put up anywhere between 85 to 90 shots a game, with 30 or more coming from beyond the 3-point arc. In order to achieve such goals Chicago must play at a fast pace. They have to quickly move the ball up the court and share it with one another, making it hop from player-to-player and from one side of the floor to the other. To generate good looks at the basket they have to force New York's defense to constantly shift and expend extra energy. They also need to draw defenders out from under the basket in order to free up driving lanes to the rim. Generously sharing the ball also gets everyone involved in the action and forces the defense to scramble and eventually breakdown. In short, Chicago's primary task is to aggressively hit the floor running from the opening tip and never slow down. In order for them to create open looks at the basket the ball must jump from player-to-player with everyone getting involved in the action. 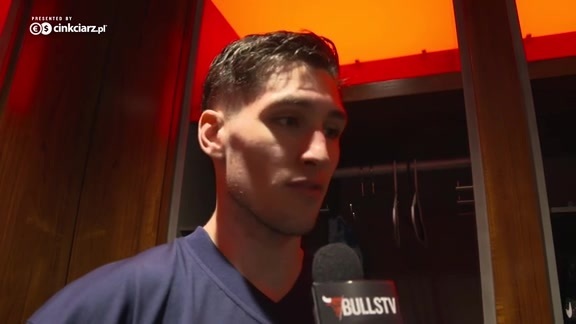 The Bulls must show up with a hardnosed mindset, and commit to outhustling opponents in every way, which means laying it all on the line by going hard after every rebound and loose ball.